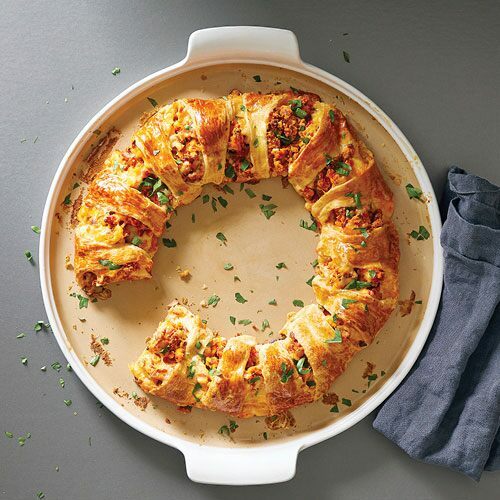 Give Mom an elegant, contemporary dish that looks good on display in the kitchen or on the dining room table. The graystone-glazed stoneware will make her favorite recipes look like they came right out of a glamorous food magazine. Plus, stoneware builds up a nonstick “seasoning” over time. So the more she uses it, the better it cooks, giving everything from cakes to casseroles consistent results. 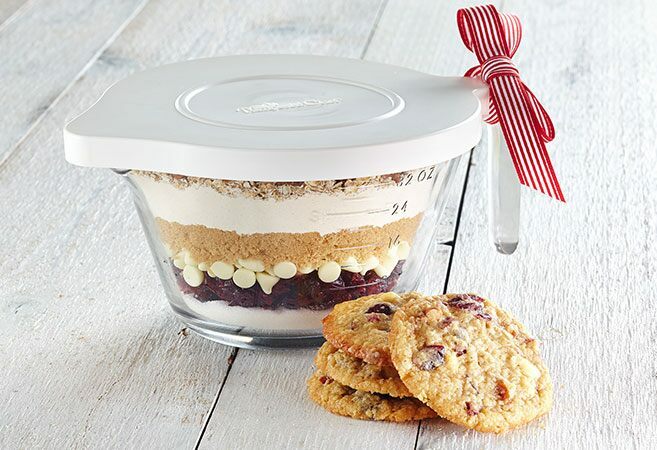 If your mom loves to display fancy desserts or has a flair for home decorating, she’ll love this versatile Trifle Bowl. Mom’s creativity can run wild with this piece. Her layered desserts will rise above the rest on a party table, or she can remove the pedestal for a robust salad container or sturdy punch bowl. She can fill it with pine cones and ornaments in the winter, fresh flowers in spring, or seashells or river rocks in the summer. 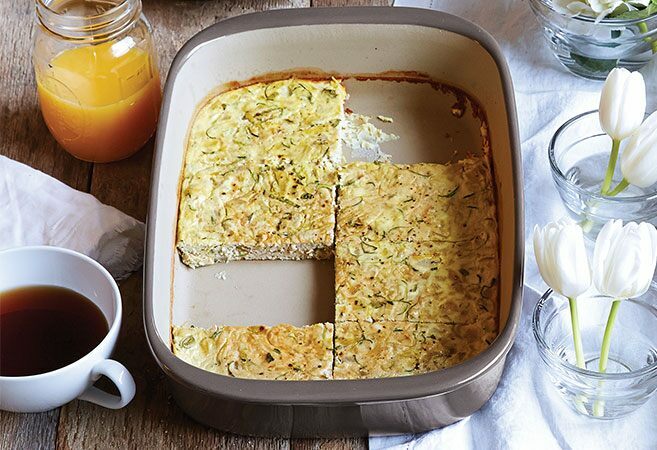 Help Mom get a healthy protein boost to start her day with eggs cooked any way she wants. In minutes, she can have eggs scrambled, poached, or fried right from the microwave. 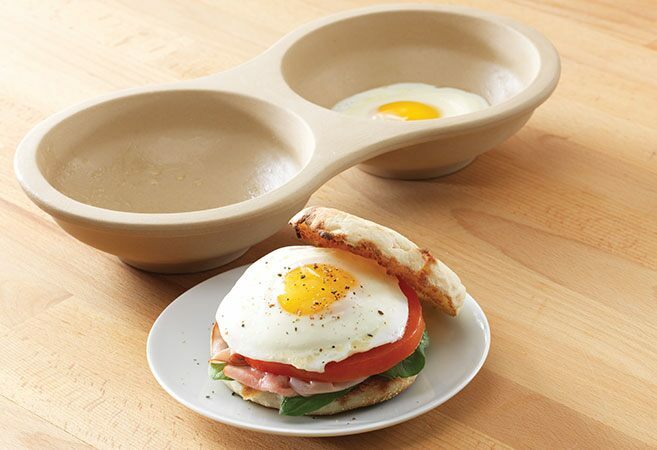 This egg cooker is awesome for foolproof eggs Benedict, breakfast sandwiches, or high-protein salad dishes. 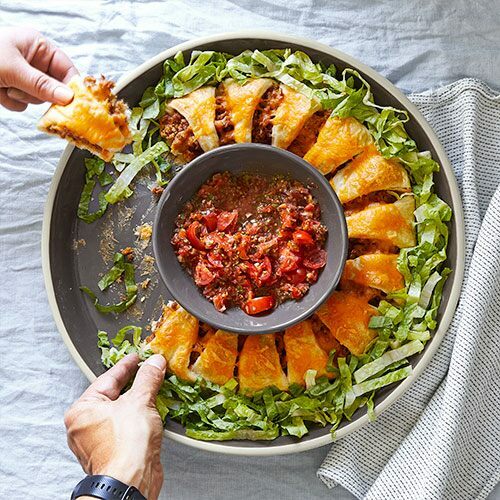 The unique shape and clean design of this stoneware baker will let Mom take any meal right from the oven to the table for a stunning presentation. She’ll love the fact she won’t have to dirty another dish. 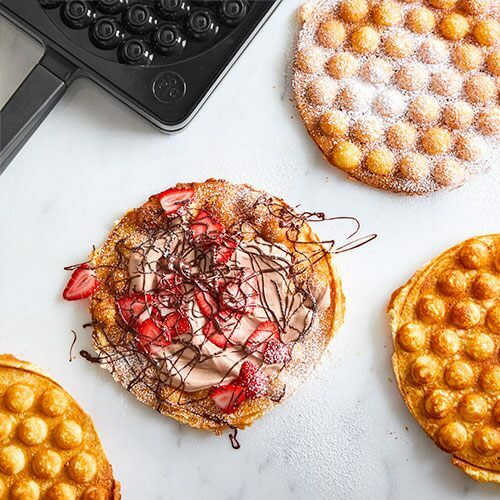 Meet a baker’s dream come true. 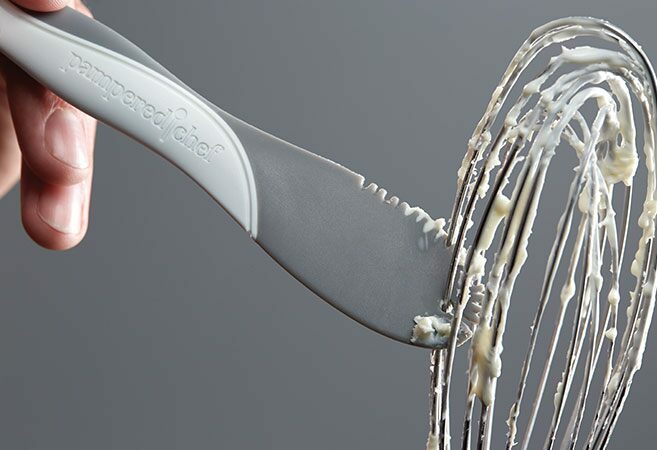 One end features a keyhole slot that takes frosting and batter off metal beaters, the other end features a silicone serrated edge that cleans off whisks. Sorry kids, no more licking the extra frosting! But that means more frosting on those desserts. The flat nylon side of this tool handily frosts cupcakes and more. It will make a sweet little gift topper to any baking gift for Mom. This two-sided mat takes all the fuss out of spacing cookies on a baking sheet. One side fits small and medium-sized cookies, the other side works for spacing larger ones. No more watching cookies melt together into a mega cookie (well…that’s not always a bad thing!) or struggling to pop them off the cookie sheet. 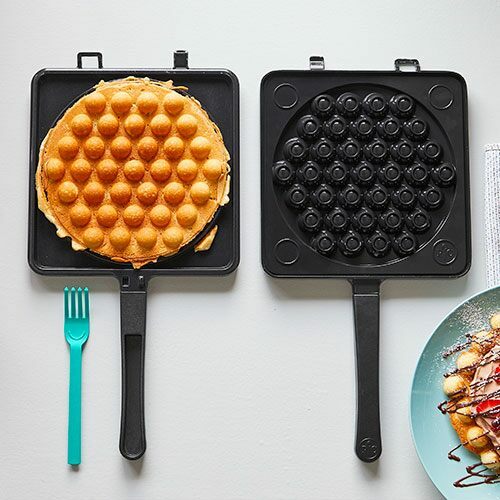 This a cool kitchen tool every busy Mom needs. It slices food in seconds. Line up tomatoes, mushrooms, avocados, hard-boiled eggs—even mozzarella, then slice, slice, slice! Salads done! This is one you’ve got to see in action. Three tools in one, this is like the Swiss-army-knife of the kitchen. 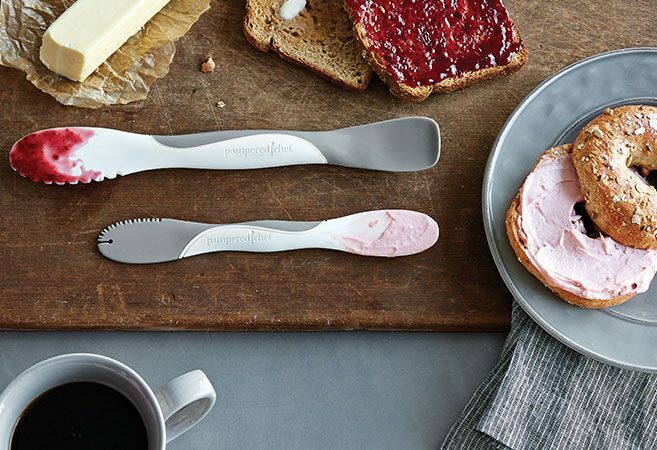 It lets you scoop condiments out of a jar and spread them smoothly and slices through toast and bagels with ease. Your mom won’t know what she did before she had this. It can scoop out every last bit out of almost any condiment bottle, even those odd-shaped ones that always seem to have curves or edges a regular knife just can’t quite reach. This is another item that makes a sweet gift topper. Why not tie it with a bow to a jar of her favorite flavor jam? 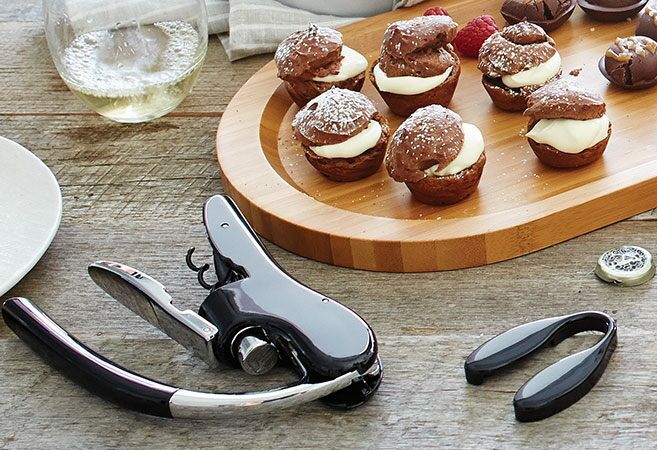 When she can open a bottle of wine in under 15 seconds, your mom will wow all her friends with this gift. They’ll all want this Wine Bottle Opener, too. It includes a foil cutter, so no more struggling with peeling back the foil and tearing it. With a squeeze of the device over the bottle and a quick push down/pull up motion of the lever—wine is ready! It comes in a sleek black storage pouch. 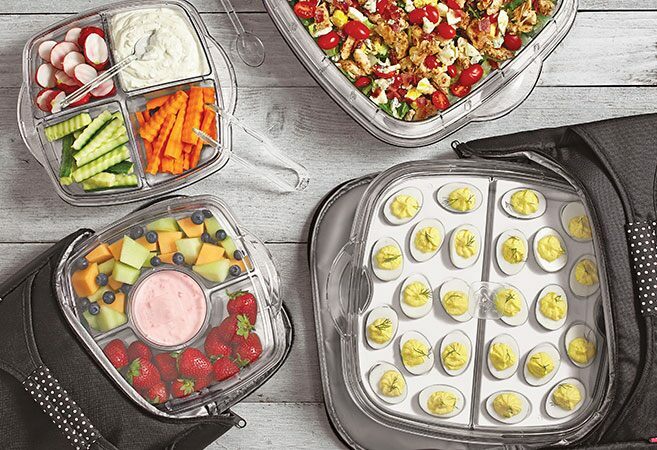 The ultimate entertaining piece, especially for moms always on the go. 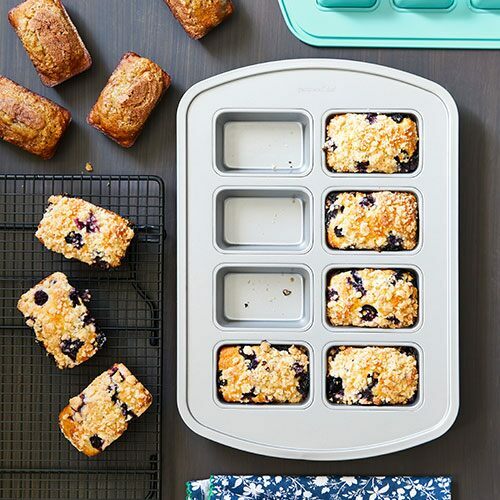 This serving tray comes with two reversible cooling inserts that keep dips, salads, fruit, and veggies cool for 4-6 hours. Each insert has 12 wells for deviled eggs. 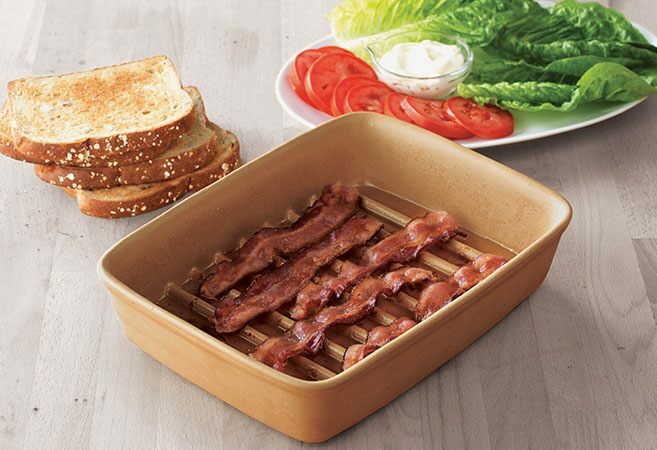 Clear inner trays let Mom customize her tray to whatever event she’s planning. Big, beautiful salad with no tray dividers—check. A veggie platter with homemade onion dip—check. 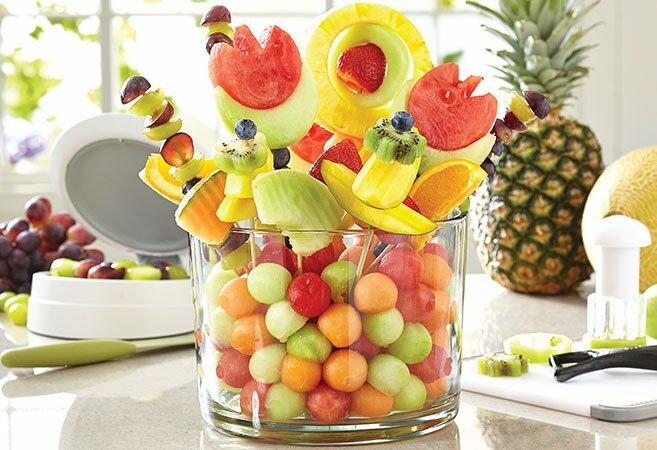 A half veggie/half fruit tray—check. A whole tray of her crowd-pleasing deviled eggs—check. A burger bar toppings tray—check. Sky’s the limit. 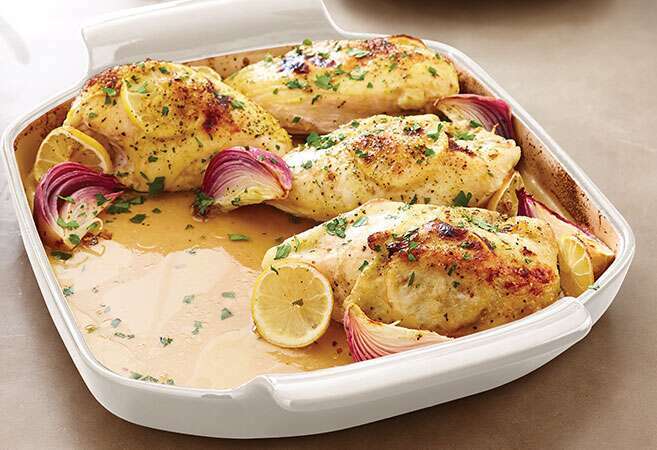 Mom will get the same great cooking results from Pampered Chef stoneware, but with the added benefit of a raised surface. The ridges keep juices, fats, and excess water off whatever is being cooked—from bacon and meatballs to steamed veggies to chicken tenders. Great meals together as a family will get even better. 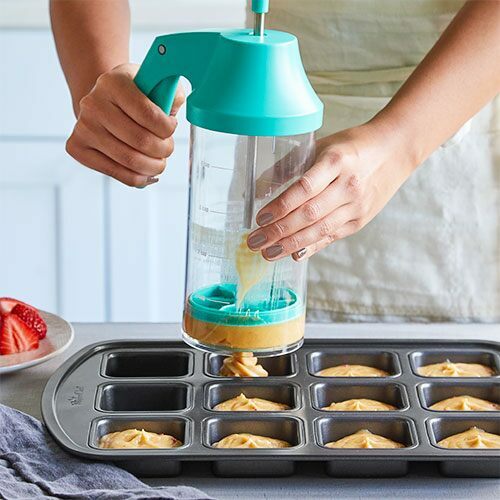 Not only is this a practical kitchen tool for under $25, but you can dress it up as sweet gift for Mother’s Day. Fill it with her favorite candies, or layer it with ingredients for her favorite dessert or pancake mix. (Bonus—you can make the recipe together as a family!) 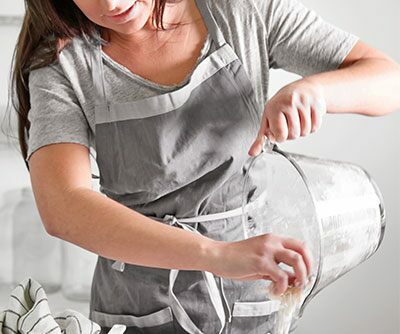 The lid and handle make it easy to decorate with a ribbon—maybe tie on a Batter Scraper with a gift tag!